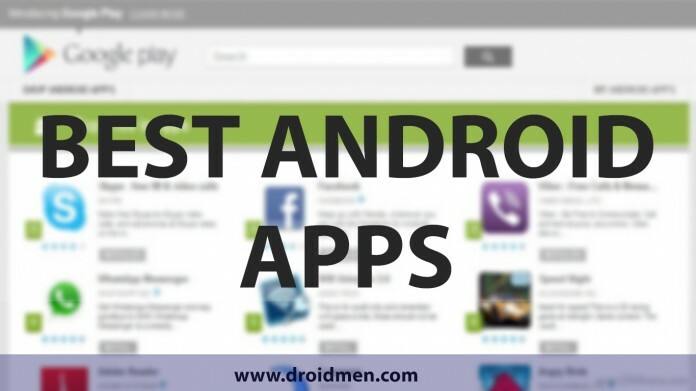 Best Android Apps of 2015 - Every Android User Must Try. 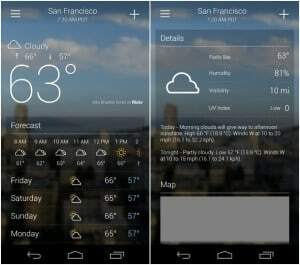 Best Android Apps of 2015 – Every Android User Must Try. Android apps have made the life of Android users easy. Many people ditch windows phones and buy Android phones because of availability of large number of Android apps. Having such large number of apps in almost all categories android apps have changed the way Android OS used to be back. Different people have different tastes, same with apps, some might like photography apps, while some might be fond of music apps. However, we’ve not sorted this list according to the categories but we will post the best android apps based on categories soon. If you are in search for new apps be it a photo editor, keyboard, music player or any other apps, have a look at these following apps, you will get all at one stop. Best of all android apps. 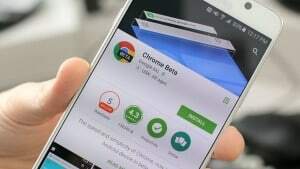 Chrome is a by default browser on any Android device, but Chrome Beta is a better version of Chrome. The user experience is good, however it is still under construction as there are many bugs and sometimes it also crashes without any reason, but none of them will cause any damage to your phone. Podcast Addict is a free app which provides users with some awesome podcasts.You can also create a playlsit of upcoming shows you tune in to. You can also search for currently trending podcasts and it also provides list of newcomers. No reason to download any other podcast app. Of all the keyboards, Fleksy is the most accurate one, as it is big, much clever. All the keyboards have a “press and hold delete key” gesture while Fleksy understands a backward swipe. It has some extensions of an invisible keyboard, and its free. Google Play Music is also a default app which comes in every Android device. There are various music download apps available in the store, but Google Play Music gives you a complete access to free music with number of artists. [pullquote]Also Read: “5 Best Free Android Music Players”[/pullquote] It lets you download tracks for free, unlike SoundCloud and Spotify which allows only listening of tracks, and not downloading them for free. Haven’t watched the series your friend cant stop blabbering about, here is a free service Hulu which has wide range of shows available. 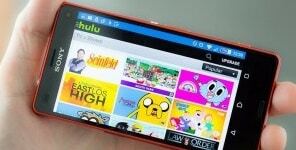 Has ads, but it has a free subscription and you can watch your favorite shows whenever you want. It is restricted in US currently, but we expect this app to appear in other regions soon. Besides being a free camera app, Camera360 has over 200 filters, NFC photo sharing and other image fixing tools. The presets available are very useful for mobile photography and makes sure that you have the best of experience and make most out of your Android Camera. The default video viewing app will do just fine, but if you are one of those who puddle plays with the video settings, you can download VLC. It supports many video formats and has adjustable settings. Best Android Launcher App: Nova Launcher. One of the many advantages of using an Android device is that you can customize your phone’s look and feel. There are many launchers available so that if you have switched recently from a device to another it wont make you feel unknown. One of the best launchers is the Nova Launcher compatible with devices having Android 4.1 version and onward. 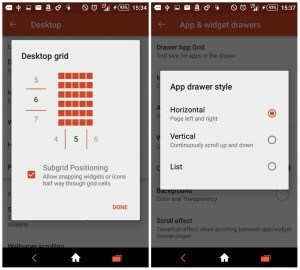 Nova adopt the device brand and lets you adjust your settings according to it. Be it a Samsung, Xperia, Htc, LG, iOS interface. Everything is available. Kids nowadays are getting techie, they want that phone with shining display and want to tinker it. Amidst all those education apps, Kids Place is an app which allows you to find everything at one place. It has games, restricts to leave a particular page and kind of locks the app on a single page. 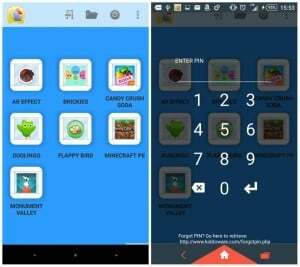 You can also set the time for how long you want the kids to access the app by keeping your phone or tablet in safe mode. Are you not only a music lover, but also enjoy creating your own little tunes? 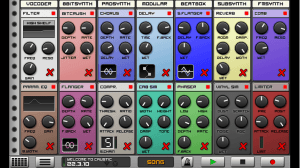 Here is a perfect app called Cautic 3, which helps in music making, it has 14 different synthesizers, vocoders and drum machines. It can get quite complex, but once you get along with the app, get ready for some awesome new tones on your phone. Do you have urge to know more about your favorite celebrities? Get the Ask Me Anything by Reddit AMA app, which lets you write questions on their page, vote for an answer or question. You can be around all the famous faces in fields such as science, sports, film and more. Phones with external memory card storage are slowly going to be diminished. We require certain files and data to be available all the time. [pullquote]DropBox Vs Google Drive vs OneDrive[/pullquote]All the present cloud storage apps are not reliable. 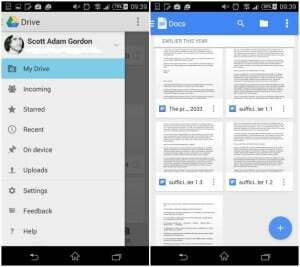 Unlike Google Drive, its mostly a default cloud storage app on most of the devices. It is also synced up with handy Google Docs office suite. 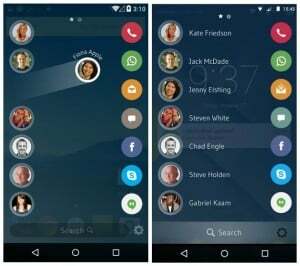 There are obvious contenders for the “Best messaging app”, but this upcoming app called Drupe is grossing among the users. It has all your contacts covered up in a single place- WahtsApp, SMS, Mails, Skype. So from this messaging app you can contact your contact on any app you want. Dating apps are getting popular nowadays, one of the upcoming app is Plenty of Fish. It helps you find a date and a date place in your area. When you are not connected to Wi-fi or unable to access mobile internet, the crucial thing becomes is your source of enjoyment. 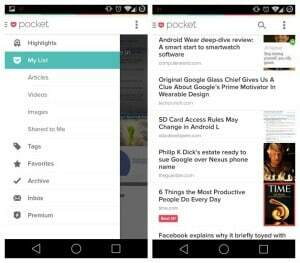 Here is an offline reader app called Pocket, retrieves all images and news and then you can read them when you’re offline. There are many apps which are not featured in Google PLay Store. Some of them do not make it to the official play store, you can find such apps in the store called SlideMe, where you can find those apps which are tested and which work on AOSP (Android Open-Source Project), and are not tied into the Play Store’s services. 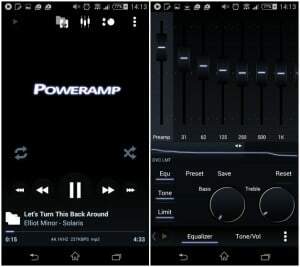 Best Music Player for Android: Poweramp. Poweramp is the best music player available, as it has many settings, a great interface, gives a big screen album art when the screen is locked. The user experience is too good. But you will have to pay for its complete version as the version which is available for free is a trial version. Phone security is a must and very sensitive issue when it comes to Android. 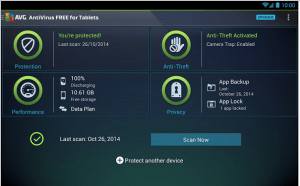 There are many security apps available but AVG is best Anti virus app for android. It is completely safe and keep its parameters and settings according to your usage. There are many weather apps available on your device by default, but Yahoo! Weather is the best as it is simple to use and looks great. It has all the necessary information you require and has a nice widget which can make your phone phone screen look good. 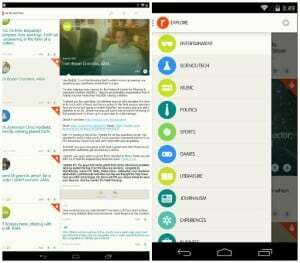 Do you know some another best android apps? what are you waiting for, comment your favorite android app which you can’t live without and let other people know about that awesome android app. What are you waiting for? Next articleAndroid 6.0 Marshmallow: Common Problems & Bug Fixes.